In the outer fringes of the area observed with Hubble's Advanced Camera for Surveys a compact collection of stars was visible. 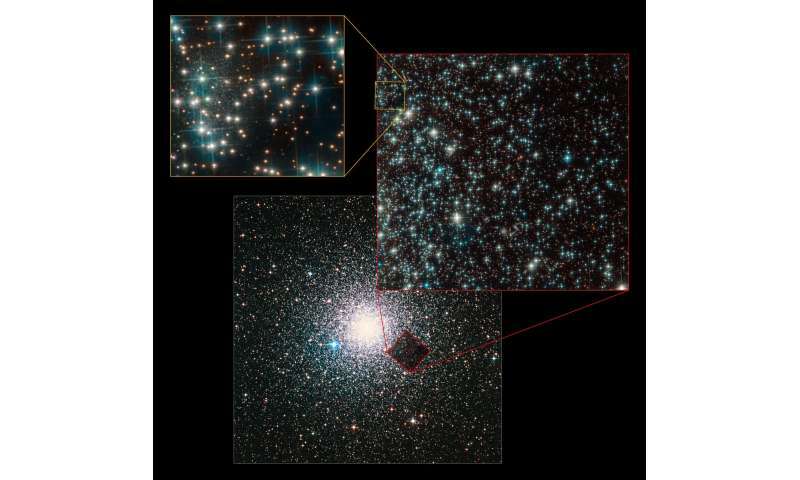 After a careful analysis of their brightnesses and temperatures, the astronomers concluded that these stars did not belong to the cluster—which is part of the Milky Way—but rather they are millions of light-years more distant. 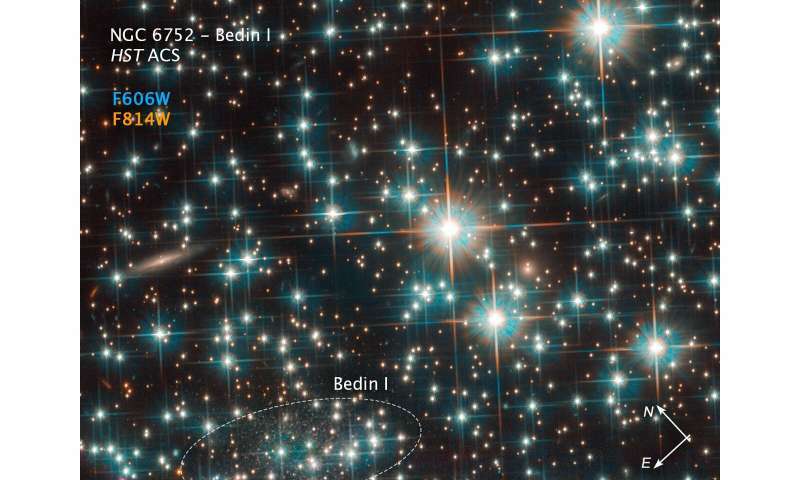 Our newly discovered cosmic neighbour, nicknamed Bedin 1 by the astronomers, is a modestly sized, elongated galaxy. It measures only around 3000 light-years at its greatest extent—a fraction of the size of the Milky Way. Not only is it tiny, but it is also incredibly faint. These properties led astronomers to classify it as a dwarf spheroidal galaxy. From the properties of its stars, astronomers were able to infer that the galaxy is around 13 billion years old—nearly as old as the Universe itself. Because of its isolation—which resulted in hardly any interaction with other galaxies—and its age, Bedin 1 is the astronomical equivalent of a living fossil from the early Universe. There's no way we're alone, literally zero chance. It's a shame we're so far apart, unless you know, it's not a shame and they want to eat us. Then it's probably fortuitous. Still, seems like a long way to go for a meal full of preservatives and heavy metals. But not too far to go to say Hi.